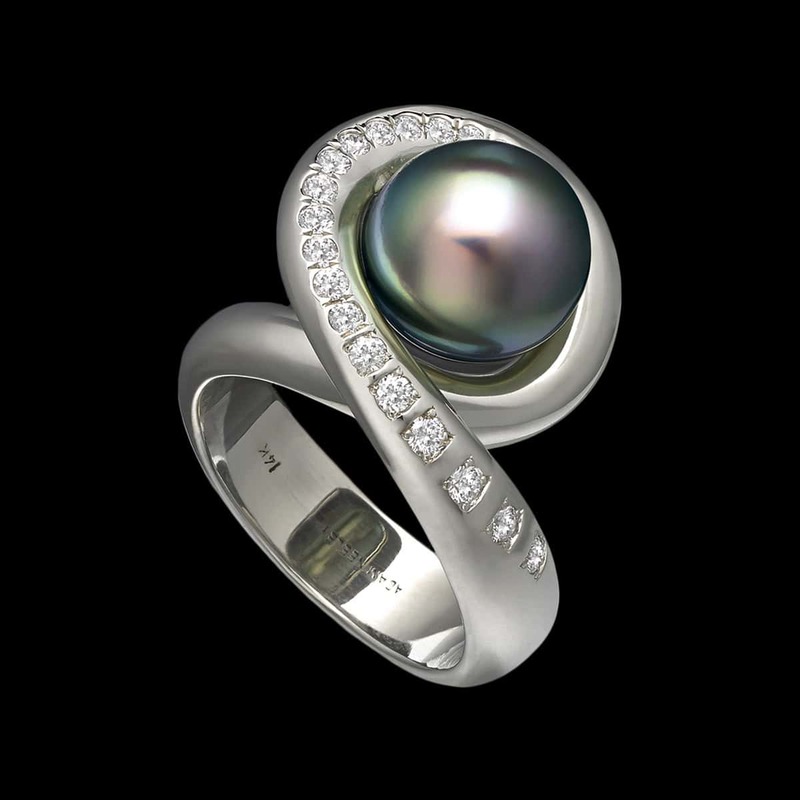 Aria Tahitian pearl ring is memorable and harmonious. This ring features a dazzling Tahitian pearl with diamonds in 14 karat white gold. To purchase, call (949) 715-0953 or use our contact form below.